← Fed Fixes Failing. Risk Misunderstood. Message To Passive Investors. Engineering, Divergence, and global growth weakening. 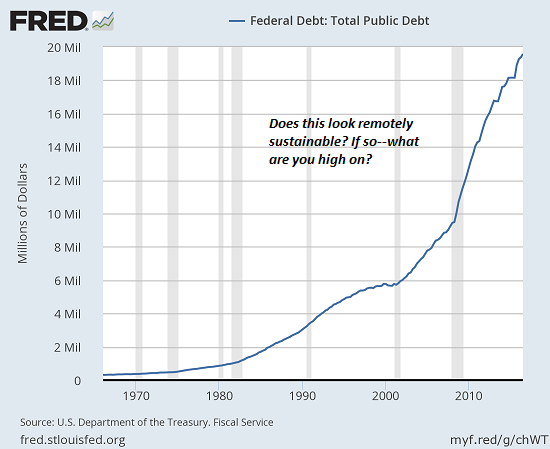 Asset purchases and debt growth have been unprecedented in recent years. 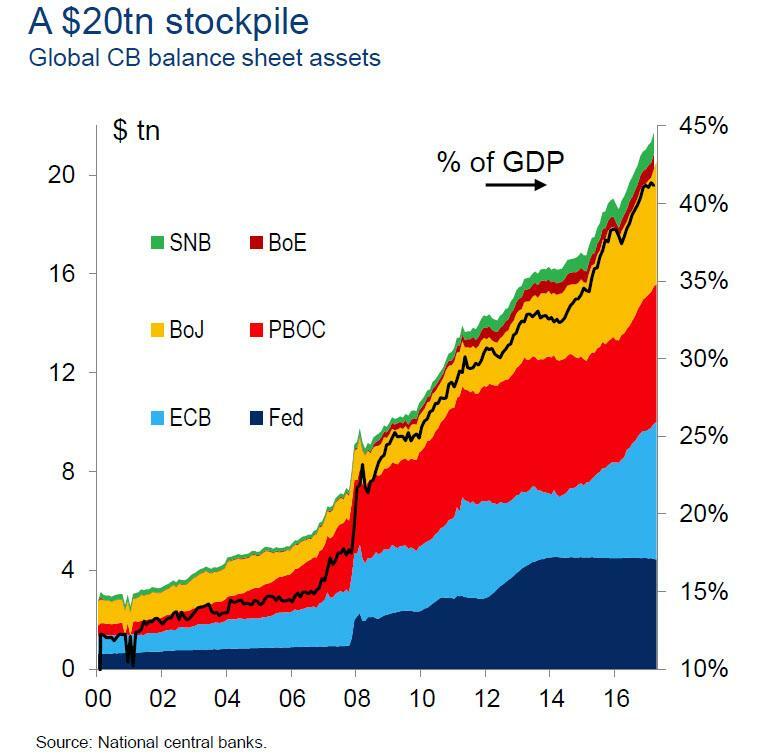 Central Bank asset purchases have now exceeded $20 Trillion, or nearly half of world GDP. Corporations have also been buying back their own stock at a rate of around $500 Billion a year. 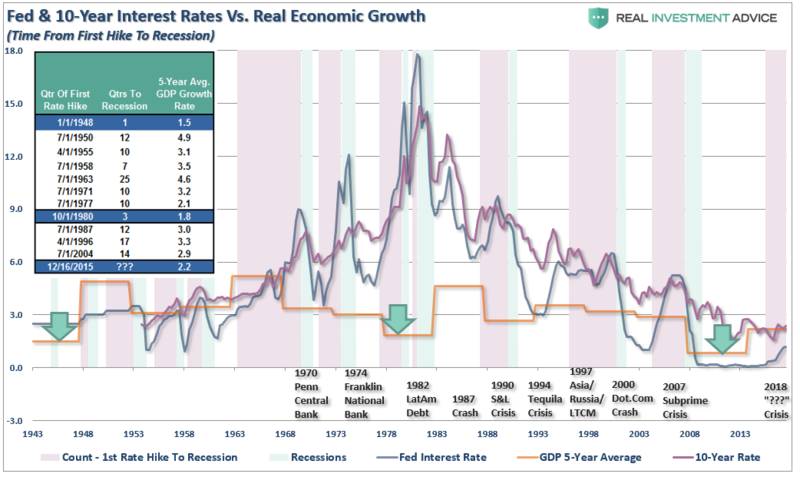 The Trump administration has likely managed to maintain the astonishing US public secotor debt expansion inherited from his predecessor, and this assumes no recession for the forseeable future. As this is the weakest recovery since WW2, it is very hard to attribute all of the stock market boom to the strength of the US economy. Financial engineering and exploding debt may well be bigger contributors. Indeed, one wonders what would have happened without all the “non-conventional” stimulus provided by the central banks. 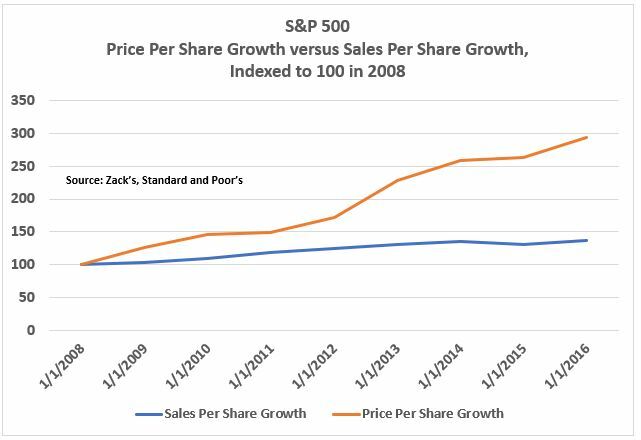 This has helped the S&P500 go up 6 x faster than sales per share growth. When we look at earnings, however, we see a major divergence. 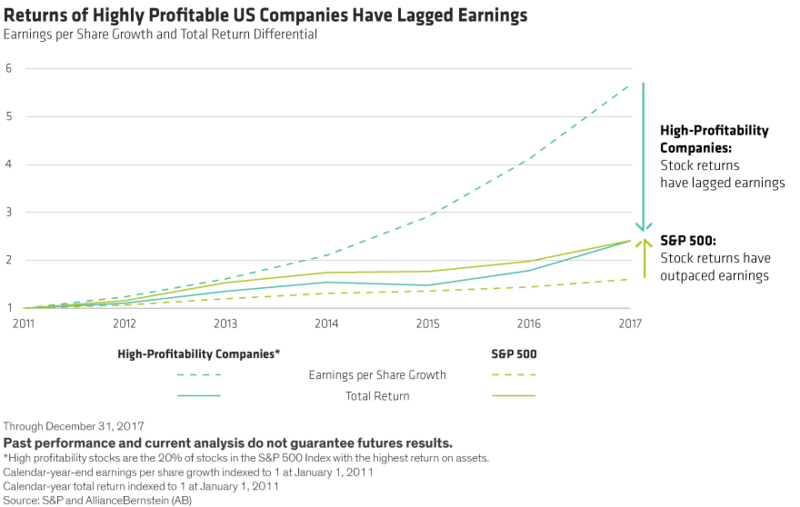 While the S&P 500 has significantly outperformed its earnings growth. The stocks with high return on assets have far underperformed their earnings. So the engineering has caused a great many distortions. Not just at the level of the stock market but also different categories of stocks. 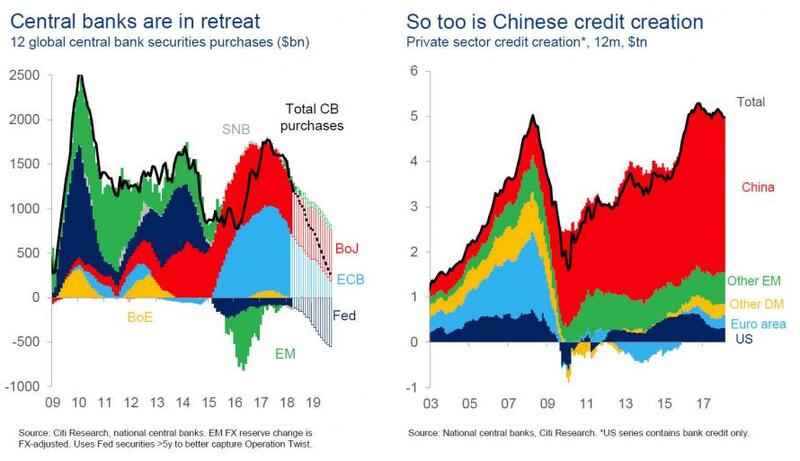 The central banks are now drawing down from their asset purchases, or at least they plan to do so. Furthermore, Chinese credit creation has peaked. The charts above show what created the global boom of 2017. This has now gone into reverse. 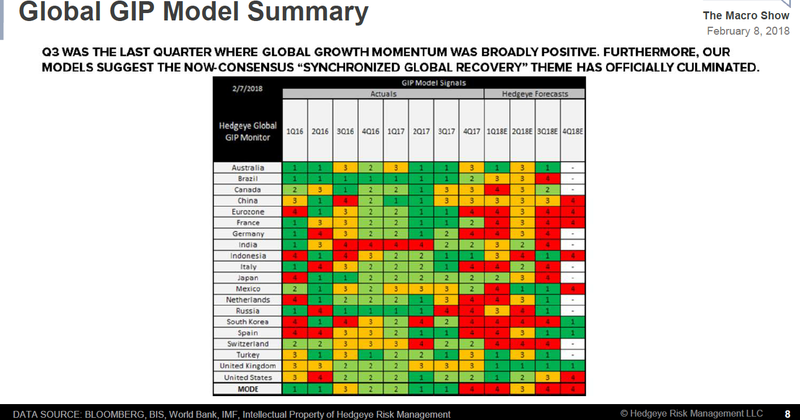 This is happening even as many major economies are seeing confirmation of lower growth as a new trend estimated by Hedgeye’s GIP model. The greens of 2017 are turning into the yellow and reds on 2018. Globally, growth is confirming that it has switched from positive to negative. 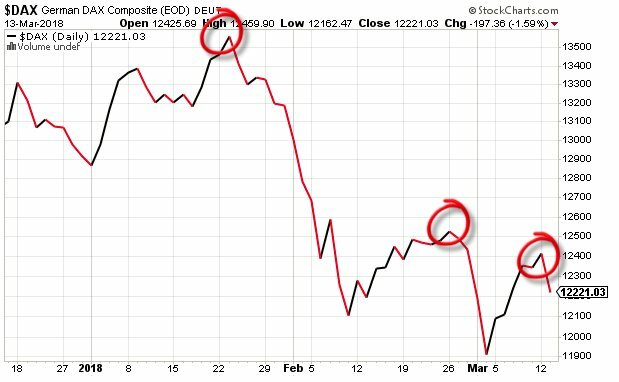 So the Dax has fallen around 10% from its January high, with lower highs. US equities faces some significant headwinds in 2018.